In “George III and the Loss of the American Colonies,” I cited one of Thomas Jefferson’s earlier works from 1774, A Summary View of the Rights of British America, as evidence that we should regard the American Revolution as another English civil war and the logical extension of the Glorious Revolution of 1688, because the American colonists saw themselves as “British Americans” and invoked the ideology of the Constitutional Settlement of 1688, which one hundred years earlier had secured parliamentary supremacy and sovereignty in the Crown-in-Parliament. Steeped in Whiggism and firmly anchored in constitutional constraints on the monarchy, Thomas Jefferson summarized the British American position in the first paragraph: that George III, as a constitutional monarch and one part of the machinery of government, must obey Parliament; that the British Parliament may exercise its sovereignty and legislate only in the United Kingdom because the American colonial parliaments enjoyed that same sovereignty to legislate in their jurisdictions; and that therefore only the Crown – and not the Westminster Parliament – unified the Thirteen American Colonies to the United Kingdom. In one fell swoop, Jefferson both alluded to the principle of responsible government and created the legal rationale of the Commonwealth realms (Canada, Australia, New Zealand, etc.) that only the Crown binds them together, which did not come in effect until 1931 with the Statute of Westminster. My favourite Whig historian David Starkey confirms this interpretation in Crown & Country: “This idea of a monarch who, as sovereign of free and independent peoples, holds an empire together was both ingenious and far-sighted. Indeed, it became the foundation of Britain’s twentieth-century imperial policy as the empire evolved into a commonwealth of self-governing dominions, united only by allegiance to a common crown.” (Starkey stated the last phrase incorrectly, because there are 16 Commonwealth realms and 16 crowns held together in the personal union of the British sovereign. “Allegiance to a common Head of State” would be more accurate). Starkey adds that George III himself rejected this principle and supported the policies of Prime Minister Lord North’s administration. Jefferson also over-reached in many respects and placed too much of the onus on George III rather than on Lord North’s administration, which had created the hated taxes of the 1770s in the first place. In the absence of a strong prime minster like Robert Walpole or William Pitt the Elder, George III himself thus came to represent the struggle, even though the policies came from the British Parliament. George III “did not want the power of an American monarch independent of Parliament”. This confusion arose because neither George III nor the Westminster Parliament could accept the fundamental principle of Jefferson’s argument: the legislative assemblies of the 13 Colonies enjoyed equal status to the Westminster Parliament, both of which fell under a personal union of American Crowns and the original British Crown. This idea proved so radical in 1774 that the British did not adopt it until the Balfour Declaration of 1926, and it did not become law until the Statute of Westminster of 1931. An overview of the often ignored “nuts and bolts” of the Declaration of Independence reveals the structure of the representative government in the 13 Colonies that led to the “long train of abuses and usurpations.” Above all, the Declaration of Independence should be read as an open letter to George III and as a scathing rebuke of the policies of Lord North’s administration toward the American colonies. This rallying cry of rebelling against “Taxation without Representation” is in fact a superficial rendering of the broader principle that the British Parliament could not legislate in the Thirteen Colonies, because in so doing it would infringe upon the sovereignty of the colonial legislatures. Only the British Crown could have bound the Thirteen Colonies to Britain, but by 1776, even that proposal had become untenable. And thus, the Declaration of Independence came into being. These sections suggest that the colonial system of representative government in the Thirteen Colonies included a system of reservation and disallowance: the colonial Governor oversaw the colonial legislatures and sent their bills to London, where the British sovereign would formally give them Royal Assent. It also suggests that the colonial Governors enjoyed a direct relationship with the British sovereign, rather than with parliament, and that they could also exercise broad executive powers (like Orders-in-Council) to legislate in the affairs of the colonies. The Declaration also implies that the colonial form of government in the Thirteen Colonies vested the power to summon and dissolve legislatures in the British sovereign himself, even though the William III gave up the royal prerogative to dissolve the Westminster Parliament in 1694 with the passage of the Triennial Act, which provided for the automatic election of a new House of Commons every three years. Jefferson reiterated his claim for A Summary View of the Rights of British America that only the colonial legislatures ought to exercise legislative authority in their respective jurisdictions, and that the Westminster Parliament’s sovereignty applied only to Britain. This long grievance and its sub-points strike at the heart of the colonists’ arguments against George III and Lord North’s administration. In 1765, “the Virginian Assembly passed the first resolution against the Stamp Act,” declaring that “the taxation of the people by themselves, or by persons chosen to represent them is the distinguishing characteristic of British freedom, without which the ancient constitution cannot exist.” In repealing the Stamp Act, the British parliament asserted its right to pass legislation on behalf of all the British colonies “in all cases whatsoever.” Jefferson even included that phrase in the Declaration of Independence. (Starkey didn’t footnote this book, so he may have been quoting the Declaration instead). The second point in this list refers to the Quebec Act, 1774, which expanded the frontiers of Quebec all the way to Detroit and granted the French-speaking Catholic inhabitants their French civil law, French language, and protected their Catholic faith – which in turn deprived them of the possibility of representative government in the traditional English sense. The American colonists saw the Quebec Act as a direct threat to the sovereignty of the Thirteen Colonies and feared the imposition of such a system there. The great Canadian constitutional scholar MacGregor Dawson called the first chapter of The Government of Canada “Representative and Responsible Government” in order to describe the political evolution in the British colonies in the 18th and 19th centuries. “Representative government” refers to a system in which the propertied colonists voted for representatives in their respective colonial legislative assemblies, which passed laws of local concern and represented the colonies. However, the legislature remained separate from the executive. The British sovereign appointed, by and with the advice and consent of the British cabinet, colonial governors who represented the Crown in their colony and acted as chief magistrate. 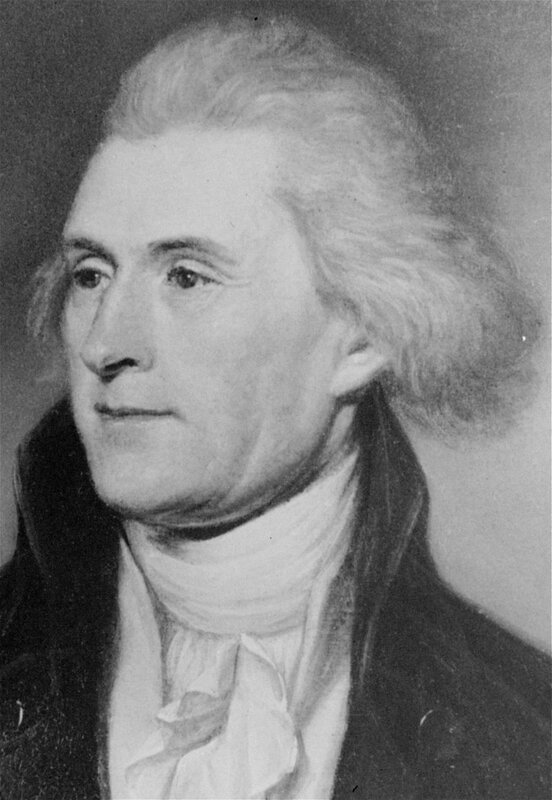 Judging by Jefferson’s writings, the colonial governor would forward legislation passed by the colonial legislatures to the British sovereign, who would sign off, or the colonial governor would exercise the powers to summon and dissolve the colonial legislatures and give Royal Assent to their laws. (This will require some further research on my part). In contrast, responsible government in the colonial sense means self-government. Responsible government incorporates the necessary precondition of representative government, but then goes further and ensures that the executive, rather than functioning separately and above the legislature, becomes integrated with and accountable and responsible to the legislature. Responsible government means that the government derives its authority to govern by commanding the confidence of the legislature. Jefferson did not use this terminology as such, but the logical extension of his proposals would have led to a system of colonial self-government and true constitutional monarchy in which the King reigned but parliament ruled. If Lord North’s administration and George III had listened to these proposals, the English civil war that was the American Revolution might have been averted, even as late as 1775. The original flag of the united Thirteen Colonies in 1775 featured the Union Flag in the canton, in order to demonstrate that the British North American colonies adhered to the principles of English liberty — but that they wanted them to apply equally in British North America. Ironically, the British needed to sacrifice the Thirteen Colonies in order to make Jefferson’s idea viable and learn that they could not deny their “sons of liberty” in the New World the same rights that they themselves had fought and died for in the bloody civil wars of the 17th century, culminating the in the Glorious Revolution and constitutional settlement of the 1690s. When some Canadians rebelled in 1837 against the system of mere representative government in Upper Canada and Lower Canada, the British relented and granted the Canadian crown colonies self-government in the form of responsible government. Dawson remarked that in the late 1760s, British North America practised a system of representative government in the British West Indies, Prince Edward Island, Nova Scotia, and all the Thirteen Colonies and that therefore their systems all stemmed from the same source and greatly resembled one another. British North America represented one fertile branch of the British oak of liberty. Peter McCormick of the University of Lethbridge argues that the Judicial Committee of the Privy Council came into being in order to act as a court from the colonies, and fell direclty under the Crown, because the Westminster Parliament did not legislate for the colonies. Loren P. Beth in “The Judicial Committee: Its Development, Organisation and Procedure” Public Law (1975) wrote that “[T]erritories that were held by the Crown which were not considered part of the English realm, and which were therefore not subject to the regular courts of the governance of Parliament.” McCormick added that “In English practice, the colonies had nothing to do with Parliament but were under the direct authority of the monarch.” Perhaps the British accepted Jefferson’s principle after the American Revolutionary War, or perhaps Lord North’s administration broke with convention, just as George III himself did with respect to regal power. Starkey has shown that cabinet government and constitutional monarchy developed in earnest under Queen Anne. Under William III, Parliament took on its modern trappings: “in 1689, he offered the Commons scrutiny of public accounts.” In 1694, William III surrendered the sovereign’s prerogative power to summon and dissolve parliament independently via the Triennial Act, “which provided instead for the automatic summoning of a new parliament every three years.” The invocation of the Act of Settlement, 1700 upon the death of Queen Anne in 1714 brought the Hanoverian succession and a much weakened monarchy, which resulted in “an extraordinary an unprecedented political development”: the prime ministership, which Starkey called “the parallel monarchy”, and the rise of cabinet government. The website of the British monarchy states that “after 1717, George rarely attended Cabinet meetings. This allowed the Cabinet to act collectively and formulate policies, which, provided they were backed by a majority in the Commons, the king was usually powerless to resist.” Robert Walpole became Britain’s first de facto prime minister. (The title did not enter into official usage until the early 20th century). His administration lasted from 1721 to 1742. A politically weakened Walpole set a significant precedent in 1742: he resigned after winning a vote of confidence in the House of Commons by the narrow margin of 253 to 250 because he could no longer govern effectively. [v] However, responsible government had yet to take hold. While Walpole’s administration managed to survive the death of George I in 1727, “Walpole could remain in office only as long as he retained his favour with the king [George II].”Under responsible government, the Prime Minister can only remain in office while his government maintains the confidence of the House of Commons. Despite Leggo’s claim that responsible government developed under George III, “in 1801, [George III] forced Pitt the Younger to resign” over their disagreement on legislation that would have given Catholics full civil rights. William IV, however, gave Royal Assent to the Great Reform Bills (which broadened the franchise, acknowledged the civil rights of Catholics, and reformed the rotten borough constituencies) because he felt bound “to support the Prime Minister until Parliament by its vote determines that the Prime Minister no longer possesses the confidence of the nation.” William IV also resigned himself to a mass creation of peers in order to break the deadlock between the two houses in 1832 so that the Great Reform Bill could pass parliament. This stacking of the House of Lords with Whig peers set an important precedent in favour of responsible government by reinforcing the notion that the government only derived its authority from the House of Commons, and that therefore the House of Lords could not act as a confidence chamber. Parliament finally codified this principle with the Parliament Act, 1911 after King George V threatened to allow another mass appointment of peers in order to break an impasse over Asquith’s People’s Budget. Responsible government became entrenched under the reign of Queen Victoria. The United Kingdom then extended the right of self-government and responsible government to the Canadian colonies in 1848, and the Australasian colonies in 1856, and in so doing implemented the logical extension of an idea that Thomas Jefferson proposed as early as 1774. 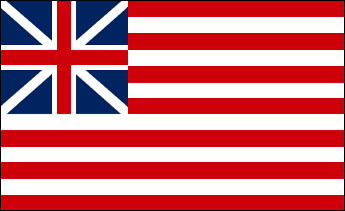 The British learned from their mistakes in the American colonies, which destroyed the First British Empire. Responsible government means self-government, and in the Second British Empire, the British applied this principle readily as recognition of the maturity and growth of the colonies. This entry was posted in History of British North America, Origins, Whigs v Tories. Bookmark the permalink. I found this post very interesting, though I do have one minor quibble. I think Starkey overstates the effect of the Triennial Act 1694. It did not abolish the Crown’s prerogative to summon or dissolve Parliaments–indeed, while section 4 of the Triennial Act stated that the present Parliament would dissolve no later than 1 November 1696, it also recognized that William and Mary might dissolve it earlier. The duration of Parliament remained highly variable even after the passage of the Triennial Act. For example, William’s fourth Parliament convened on 24 August 1698 and was dissolved a little more than two years later on 19 December 1700. His fifth Parliament was even shorter: convened on 6 February 1701, it was dissolved a little over nine months later on 11 November 1701. So while the Triennial Act certainly constrained the Crown’s power to summon and dissolve Parliament, it failed to establish a paradigm of consistent, three-year terms, and the Crown still exercised considerable control over Parliament’s duration. Yeah, you’re right. I wrote this post before I had read through the various Triennial Acts of the 17th century (the Triennial Act of 1694 was the third statute of that name) and didn’t fully understand the nuances between them. Only the first Triennial Act of 1640 had in fact abolished the Crown’s authority over dissolution. But the repeal of that act in the Restoration Parliament restored the prerogative to the status quo ante. 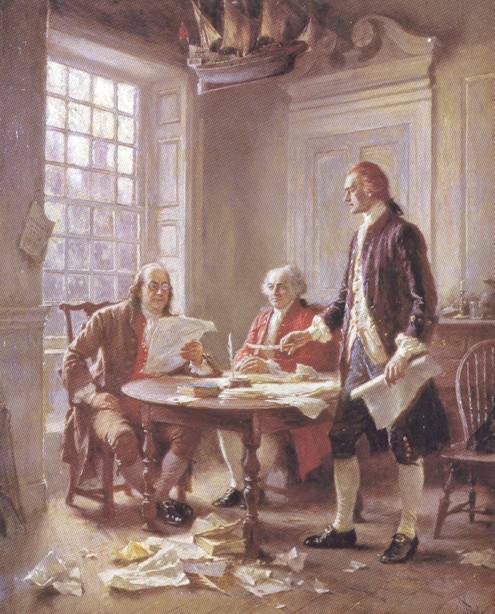 One caveat – Jefferson’s proposal was farsighted, but it was also backward looking, a plea to formalize the way the empire actually functioned in the 17th and 18th when the colonies were mainly governed by the Crown. As well, Jefferson’s vision of the empire would have been familiar to early modern Europeans, many of whom lived in multiple monarchies. I don’t know about RSS feeds, but you can subscribe for automatic updates by e-mail.